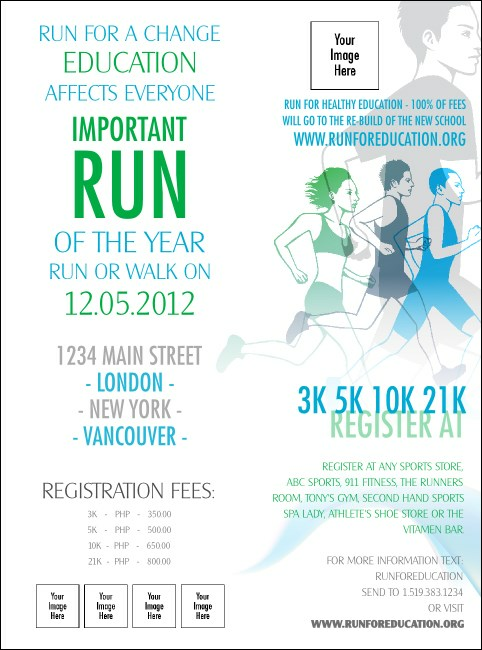 Warm up for your next race by advertising with Run for a Cause Flyers. You can upload five of your sponsor’s logos right onto the template and help them look great pictured along with the vibrant green and blue runners in mid-stride with faces focused on the road ahead of them. Follow the road to success with TicketPrinting.com.